After battling a rare form of bone cancer not once, but twice. In October 2017 Chris was sadly rediagnosed with oestosarcoma for the third time. Devastatingly, this time around the cancer has come back with a vengeance. Scans have shown chris has two confirmed tumours locating up against his bowel and prostate in the soft tissue, and other possible ones are seen to be locating around his ribs and shoulder. Chris has immediately started a grueling regime of chemotherapy at Clatterbridge Cancer Centre in order to control and shrink the tumours enough for surgery. Due to the unlikeness of this happening, his best hope of survival is through alternative treatments and clinical trials abroad that cannot be funded for on the NHS. 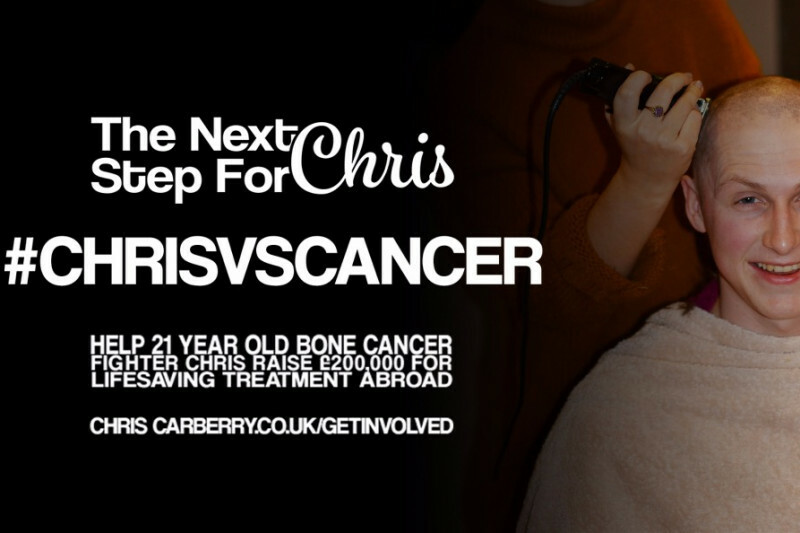 The urgency for this treatment is critical in giving chris the best chance of survival. Chris has not been given the luxury of time due to the severity of his relapse and the aggression his cancer is showing. Currently we have just months to raise a significant amount to get the ball rolling and to get chris in to treatment as soon as possible. Time is of the essance, but with the support chris currently recieves we are hopeful and certain we can do this. Thank you in advance to all the support, donations and well wishes throughout this crucial Fundraising Campaign we have launched. Dont forget to keep updated through his personal blog; The Next Step For Chris. We are currently experiencing problems with the campaign page and are working to be able to accept donations ASAP. Sorry for any inconvenience caused.